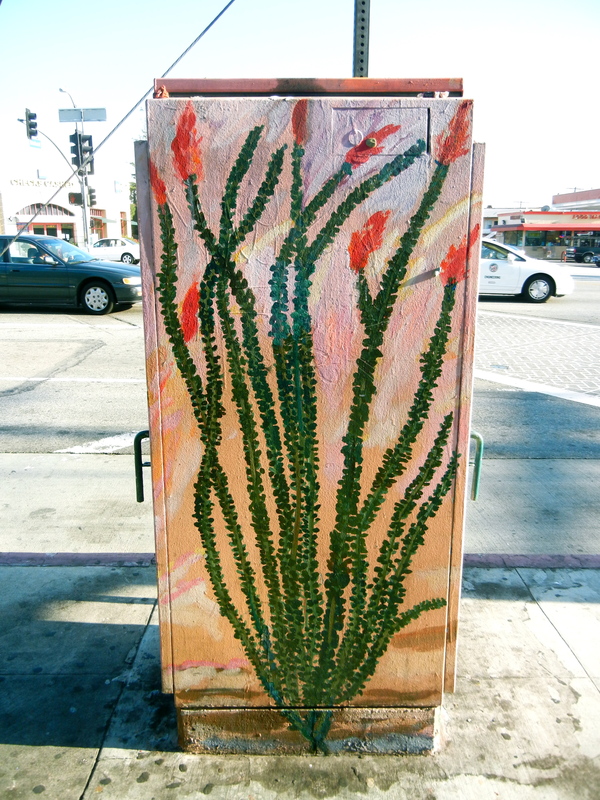 Electrical Box: Glendale Blvd. and Glenfeliz Blvd. 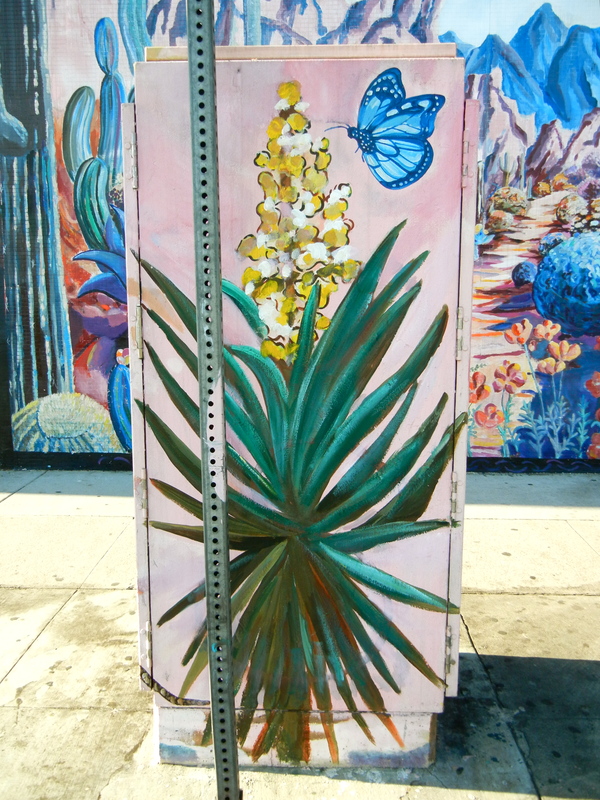 An electrical box that comes with it’s own mural! Fine, I know it’s actually a mural that comes with an electrical box, but potayto potahto. The closed Ranch Market’s facade was getting unsightly. 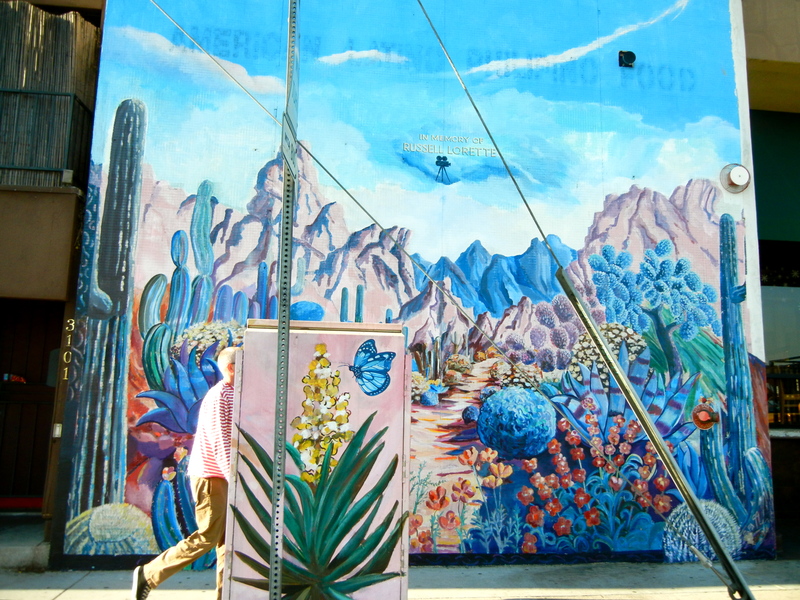 So, the Friends of Atwater Village took charge and commissioned Rafael Escamilla to paint away.